Image: LWYang/Flickr//Original photo was cropped but not altered for this article. Fried chicken is undeniably delicious, but dealing with a huge pan of boiling oil on a weeknight is just too much of a hassle. Oven-fried chicken is the perfect way to get the crispy exterior and juicy meat you crave. 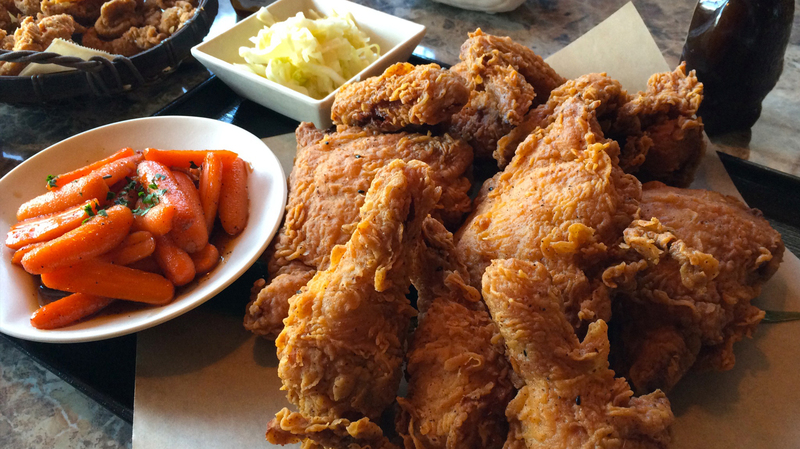 Use these tips so you can master oven-fried chicken at home. When you’re frying chicken in a skillet, it’s easy to take pieces out one at a time as they reach optimal doneness. But opening the oven door to check on your chicken isn’t just inconvenient; it will cause the temperature of the oven to fluctuate, and your chicken will take longer to cook and may not get crispy. Instead, try oven-frying one cut of chicken. Bone-in, skin-on thighs work particularly well, and drumsticks are great too. 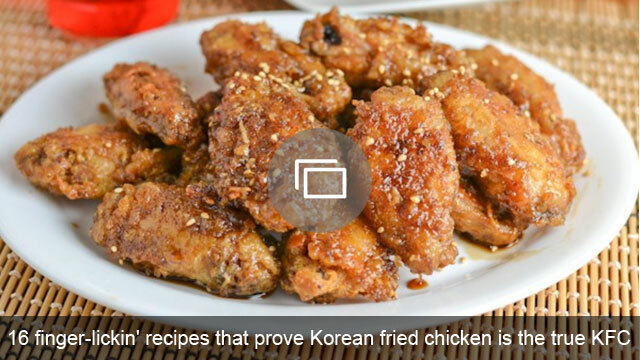 Just as you would with regular fried chicken, you should use a brine when making oven-fried chicken. For a classic buttermilk brine, marinate your chicken in buttermilk along with salt, pepper, some hot sauce and your favorite spices for four to 12 hours before breading and cooking. You can also try a dry salt brine. Make a mixture of salt, a little sugar and dried spices. Rub it into your chicken pieces, then let them sit in the fridge for two hours to overnight. When you’re ready to get cooking, rinse off the brine, and then pat the chicken dry before proceeding with the breading process. For oven-fried chicken, you want to dredge your chicken pieces in flour, dip them into some beaten egg or milk and then dredge them again in a crispy coating. You can try seasoned panko breadcrumbs, crushed cornflakes, crackers, croutons or pretzels for your crunchy coating. You may also want to experiment with adding some shredded Parmesan to your breading — it will become nice and crisp in the oven while adding flavor. Season your chicken at every stage. Add dried spices, salt, pepper and/or herbs to the brine, flour, liquid and coating. It’s hard to get any seasoning to permeate the meat itself, but seasoning it throughout the cooking process will help ensure it’s extra flavorful. Let your chicken rest on a metal cooking rack after you bread it. As the chicken rests, the crust will come together and adhere more strongly to the meat. This means your crispy crust won’t simply fall off your chicken when you take the first bite. Also, the chicken will come closer to room temperature, helping it to cook through more evenly. Twenty to 30 minutes should do, and in such a short time, your chicken won’t be in danger of becoming susceptible to any harmful bacteria. Right before your chicken goes into the oven, spritz it with olive oil cooking spray. This will help the crust get crispy without your chicken sitting in oil (which can make it soggy). So that your chicken isn’t sitting in any juices that run out of it or in any pooled oil, set a metal cooking rack on a rimmed baking sheet, and put your chicken pieces on top. This will allow air to circulate under the chicken as it cooks, helping it to brown and crisp up evenly, and will keep the meat above any moisture that collects on the pan. We recommend baking at 375 degrees. After baking for 45 minutes, flip your chicken pieces over. Lightly spritz them with oil one more time, then finish cooking another 15 to 20 minutes. This will help ensure that they cook (and get crispy) evenly. Once your chicken is done, taste test a small piece. If it’s lacking in flavor, season it with salt, pepper and extra spices while it’s still hot. And don’t drain your chicken on a paper towel — because it’s oven-fried, there won’t be much oil to wick away, and sitting on a paper towel will just make it start to steam and get soggy. That’s it! Follow these tips along with your favorite recipe for perfectly crispy oven-fried chicken every time.